At Parklands Primary School, believing that pupils can do their best is the first step to better behaviour. Headteacher Chris Dyson spoke to Elizabeth Holmes about their 'no exclusions' approach. Much has been said recently about behaviour management. From ‘no excuses’ to 'no exclusions', the way staff choose to handle challenging behaviour can differ substantially from one school to the next. Some have taken the draconian approach and embraced the exclusions that inevitably come with it. Others have taken a softer, more inclusive stance in the hope of reducing exclusions while improving behaviour. 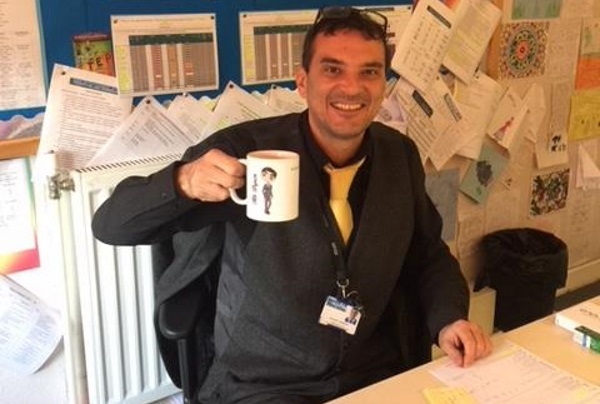 Enter Chris Dyson (@chrisdysonHT), headteacher at Parklands Primary School in Leeds. Chris is passionate about teaching and learning, and always committed to getting the very best from every pupil; including all, excluding none. As he moves around the school, he fires maths questions at pupils, who answer them without hesitation. His goal? To make sure all pupils become masters of times tables. From ‘Funday Friday’ assemblies, to sharing sausage butties with the headteacher, this is an ‘outstanding’ school where all children thrive, work hard and play hard in a caring environment. I caught up with Chris to find out why there are no longer any exclusions in a school where 72 per cent of the population receive pupil premium funding. What did you see as the problem with exclusion at Parklands when you started as headteacher? Chris Dyson: 'When I started in September 2014, there had been 150 exclusions in the previous academic year. Pupils wanted to be sent home, which was totally unacceptable. We needed a total rethink as the "stick" approach just wasn't working. 'My first action was to ban shouting at pupils, which certainly raised a few eyebrows in the staffroom. In the 2013-14 academic year Parklands had seen five different headteachers and as many different behaviour policies, and staff weren’t sure which to use. The solution was to spend the duration of a training day creating one together. Did this collaborative approach have the desired effect? 'Three years on, we have zero exclusions. In September, Ofsted concluded that over two days, none of their four inspectors could find a single example of “low level” disruption. Given the crime and anti-social behaviour that occurs in Seacroft, the inspectors were simply astonished with this. What inspired you to embark on this journey of transformation at Parklands? 'I just wanted pupils to be believed in. I don't fall for the presumption that deprived pupils can't achieve. It’s not true that just because you are from Seacroft you can't be the best. How would you characterise your approach at Parklands? Parklands has successfully reduced the number of exclusions. How did you do it and how do you continue to do it? According to one recent visitor, ‘collaboration is in the DNA of Parklands School'. This is something that visitors pick up on time and time again. Who (or what) is driving this? 'It’s driven by respect for the teachers, TAs, kitchen staff, office staff, parents and carers. And of course, for the pupils. They have a right to learn and a right to shine, and if they’re learning happily, chances are our staff will be happier too. They can take risks, safe in the knowledge they aren’t merely fire-fighting. How might other schools learn from your experience? Chris Dyson is the headteacher at Parklands Primary School, Leeds.